Melamine faced plywood is a plywood with both sides lamianted with preglued melamine glue coated paper. The paper can be white, blue, green, red or wood grains like cherry, beech, walnut, sapelle, mohogany, etc. The melamine faced plywood, particle board, chipboard or mdf are used in the manufacture of furniture. The high requirement of furniture need the plywood to be made with throughout hardwood core or combi. Regular poplar core is not sufficient for furniture making. The multilayered plywood with birch core and phenol resin can be used as the base material for plywood flooring as well. This type of melamine face has better wear resistance. We utilized the best plywood material and melamine coated paper to make the melamine board. The panel does not warp or bend. It is the ideal material for making high end furniture. 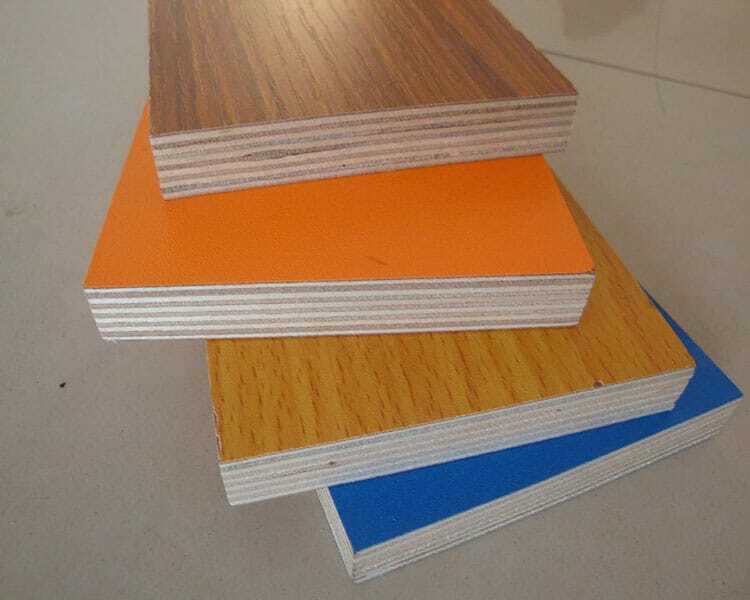 Prelaminated board is widely used for making wardrobe, cabinet, office furniture, decoration, and so on. As a plywood manufacturer, we can supply customer with the best quality and good price. We are looking for clients looking for higher standard plywood for furniture and flooring materials.